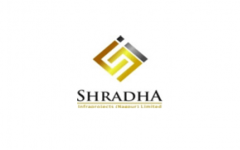 Business description - Shradha Infraprojects is a real estate development company, engaged in the business of development and sale of residential as well as commercial properties (the “Development Business”) and the development and leasing of commercial properties (the “Lease Business”). The company is primarily operating in Nagpur focused on premium developments with presence in residential, commercial and hospitality in mixed-use and single-segment developments. Its Development Business spans all activities related to residential real estate development, from the identification and acquisition of land through to the planning, execution and sales of development projects. The residential properties include plotted developments, houses and apartments of varying sizes. The Development Business also consists of the development and sale of certain commercial properties including those that are integral to the residential developments they are attached to. The Lease Business involves leasing of its commercial properties. The company’s commercial properties include corporate offices and educational institutions. Shradha Infraprojects IPO allotment status is now available on Bigshare Services' website. Click on this link to get allotment status. Real state business is the most corrupt business where builder hide there real income by taking unaccounted money in cash. Further, builders hide there real profit and make fool to investor. If any one intend to invest in real-state IPO then they have to think twice……….